Perfect hairstyle has great impact on your image, while lifeless and damaged hair can totally ruin your look. If you have faced the problem of damaged locks you should know several hair care tips that will help you to deal with hair disasters. Numerous expensive hair care products promise to give your hair glossy and healthy look, however, most of them are simply useless. The best way to revitalize your locks with minerals and vitamins is to opt for homemade remedies. 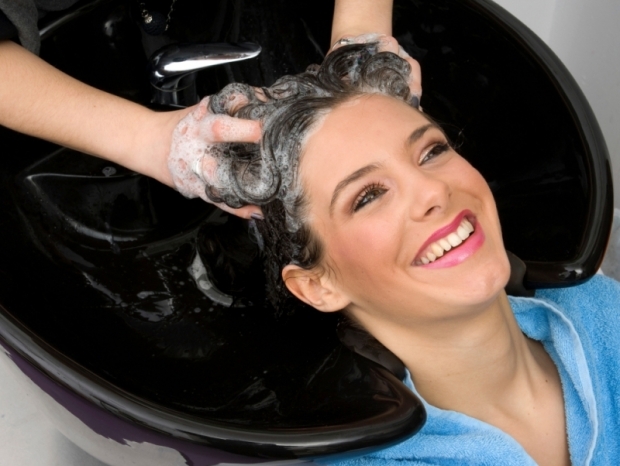 The following hair care tips will help you to keep your hair healthy and glossy. If you have difficulties in styling flyaway strands, you can easily solve the problem with few drops of sanitizer. Just tiny amount of the product will not damage your hair; instead will add volume to your tresses. Oily hair can become a real disaster especially if you do not know how to take care of it. The easiest way to deal with oily hair is to use witch hazel. Take witch hazel and rub it into your scalp and hairline with cotton pad. Leave it for 3 minutes and rinse your hair with cool water. Another great tip that will revitalize your locks with vitamins and minerals is the following recipe. Mix 5tbs of apple juice with 3 cups of warm water and rinse your hair with the lotion. If you have dull and lifeless hair, you can breathe life to your tresses with natural conditioning mask. Take 1 mashed banana and mix it with 1tbs of vegetable oil. Apply the mask on your strands from the roots to the edges and wrap your tresses with towel. Leave the mask for 30 minutes and wash your hair with tepid water. Next amazing treatment that will boost the growth of your hair is basil oil. Take 4 drops of basil oil and mix it with 2tsp of water. Massage your scalp with the treatment and leave it for 20 minutes. Wash your hair with lukewarm water. Dandruff is next problem that can ruin your look. Hot oil treatment is the best way to deal with the problem. You can use lavender, castor, coconut or olive oil to revitalize your scalp with vitamins.